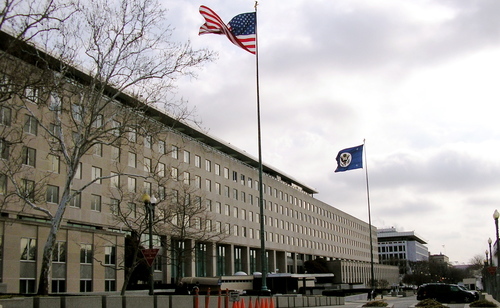 The U.S. House of Representatives overwhelmingly passed a bipartisan bill by a vote of 393-2 that would elevate the State Department official who deals with the issue of antisemitism from envoy to ambassador. Rep. Justin Amash (R-Mich.) and Rep. Jerry McNerney (D-Calif.) were the only “nay” votes, while 33 representatives did not vote. The Special Envoy to Monitor and Combat Anti-Semitism Act, sponsored by Rep. Chris Smith (R-N.J.) and co-sponsored by 86 other lawmakers, upgrades the status of the special envoy to combat antisemitism — a position the State Department has left vacant for 20 months — to an ambassadorship requiring Senate confirmation. Were the bill to become law, the president would be required to fill the position within 90 days. The special envoy position is currently vacant and has been so since the start of the Trump administration. “There is, first, a persistent antisemitism that has historically manifested itself throughout European history, from pogroms in Russia, through the Dreyfus affair to Nazism in the 1930s and up until its modern-day iterations,” Rep. Smith said in his address to the House floor. “This has been joined, however, by two other streams of hate — one emanating from the world of militant Islam, and one which is sometimes fomented by countries such as Iran. Strains of this ‘new antisemitism’ can be heard in the demands of the BDS movement, which always singles out Israel, and never other countries whose record on human rights is far, far worse. “By passing H.R. 1911 today, Congress is speaking with a loud clear bipartisan voice on the importance of this position and the message it sends to the world,” said Smith. 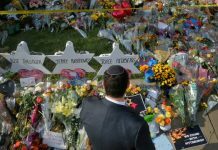 Groups such as the Anti-Defamation League, the Conference of Presidents of Major American Jewish Organizations, the American Jewish Committee and the Simon Wiesenthal Center applauded the passage. A similar bill was introduced last year in the Senate and is pending before the Committee on Foreign Relations.